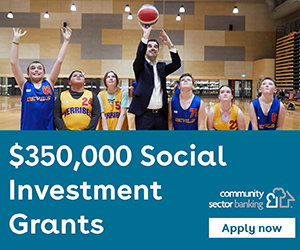 Flemington Kensington Community Legal Centre (FKCLC) is going through a period of growth and expansion with increasingly diverse funding and income streams, multiple programs and social enterprise business components. We are seeking a Treasurer/ Board Member with sound business, corporate or nongovernment sector financial experience to provide expert financial governance and oversight and assist the board in ensuring the continued growth and expansion of the centre. The Treasurer will provide insight, recommendations and assistance to the Board and Executive Officer in relation to business development and financial management strategies. The Flemington and Kensington Community Legal Centre has been an invaluable part of the inner west for over 30 years, providing free legal services to the most vulnerable in our community. We have an expanding legal service providing community legal education, family violence outreach and a health/legal program , a migration service for humanitarian offshore refugees, widely recognised for its professional, compassionate and dignified service delivery. We run a groundbreaking Police Accountability Project, a public interest specialist legal practice which advocates for victims of human rights abuses by police. FKCLC is an Incorporated Association governed by a voluntary Board of Management. Our Board is the ‘strategic manager’ of our centre, ensuring we remain a viable and effective organisation and securing our long term future. Day to day, operational management of the centre is delegated to the executive officer and staff. We are committed to democratic and community management and the principles of good governance. The Board meets on the first Tuesday of the month at 6:00 pm at the legal centre for about two hours. Meeting times can be changed to suit the majority. Please quote in application: Treasurer Extraordinaire via Pro Bono Australia.